THE reigning premiers returned to the Northern Territory Football League (NTFL) Women’s competition with a bang. They recorded the second biggest winning margin of the round, with Palmerston getting the bigger win over Nightcliff. Pint was again involved in another close win, and remain the only side that has won two from two in this season’s heated competition. Waratah returned to the NTFL Women’s competition in fine form, getting a comprehensive 47-point win over Southern Districts. The Crocs kept Waratah to just a goal in the first term, but the reigning premiers fought back with three majors in the second quarter, taking a 15-point lead into half-time. Waratah kicked three majors in both the third and fourth terms to take its lead out to 47 points by the end of the game. Lisa Miceli was named best-on-ground for Waratah with three majors. She was complemented by Breanna Martin, who also kicked three goals in the win. 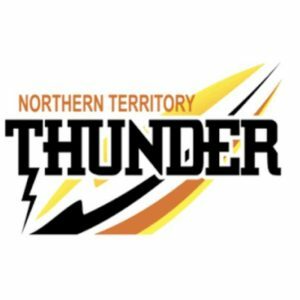 NT Thunder duo, Madeline Gault and Sue Nalder also hit the scoreboard, kicking a goal each. Their Victorian Football League (VFL) Women’s teammate, Lisa Roberts was also named in the best. Pint has been involved in another close encounter, getting a four-point win over the Wanderers to sit on top of the ladder. The Queen Ants backed up their three-point win over Palmerston in Round 2, kicking the only goal to half time. Amazingly, the Wanderers scored their first goal of the game in the fourth quarter, outscoring the Queen Ants two goals to one to nearly clinch the lead they had for virtually had for the whole game. Ellie Ryan, Ellen-Kristine Markussen and Emma Greaves were the goal kickers for Pint while Northern Territory Under 18 representative, Arthurina Moreen was the hero for the Wanderers, single-handedly bringing them back into the game. Markussen was also named second best, behind Cassie Henderson who dominated in Pint’s win. NT Thunder player, Katie Streader also contributed well. Palmerston secured a clinical win over Nightcliff with a dominant performance at PSC BM Oval. The Magpies kept the Tigers to just one goal for three quarters, while piling on 13 goals themselves. After two four-goal quarters, Palmerston went one better in the third term, kicking five goals to take a 74-point lead into the last break. A three goals to two quarter led to the Magpies securing an 87-point win. Natasha Medbury led the way with four majors, while Wynona Barlow and Karlee King kicked two. 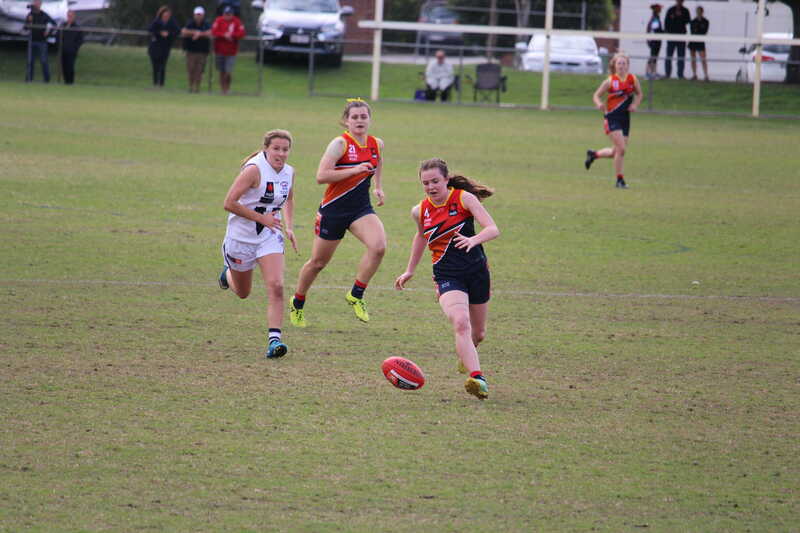 Northern Territory Under-18 duo, Janet Baird and Tabitha May also got on the scoreboard, with Baird bagging four goals and May kicking one. Both were named in the best in the big win. The Buffettes got on the winners’ list for the first time this season with a 15-point win over Tracy Village. The Razorbacks led at the first break, holding the Buffettes scoreless while kicking a major themselves. Darwin fought back in the second term with one goal, but could’ve scored more, kicking four behinds to lead by just three points at the main break. The inaccuracy continued for the Buffettes, kicking two goals and seven behinds in the second half, while the Razorbacks managed one major and one behind. This helped Darwin secure the crucial win. Former Adelaide Crows AFLW player, Jasmine Anderson got on the board for the Buffettes with one major. The other goals were kicked by Meredith Turner and Nicky Anderson. Turner was also named second best behind NT Thunder player, Machaelia Roberts, who was the best player in the Buffettes’ win.